Why are smaller capacity SSDs slower? However, the article doesn't backup this claim or explain why. It doesn't seem intuitive to me that smaller drives would be slower. I would think it would be the other way around since a larger drive has a wider "area" to access via the same bandwidth. So is it true that smaller (capacity) SSDs are slower? And if so, why? while smaller ones only use few channel (4 instead of 8) because they have less NAND modules on it. The higher capacity variants of an SSD model often get their higher capacity from simply having more NAND flash chips of the same type as the lower capacity variants. 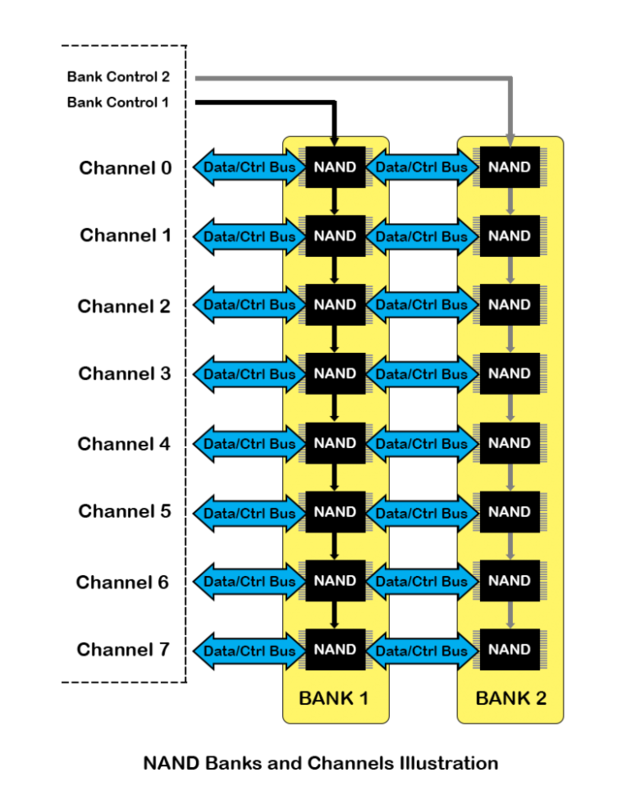 Having more flash chips allows for a design where the controller on the SSD can access more data in parallel, allowing for higher speeds. Let's pretend that SSD is using 32GB NAND chips for storage, so an 128G SSD need 4 of those chips to add up the space, and an 256G need 8 of the identical chips to make up the space, which means for read/write, on the 256G SSD it can R/W to 8 chips together rather than 128G's 4 chips, which make it much faster. But since there are other bottle necks, the final speed won't show as double on both R/W, however in real life, there are a lot of examples of how 128G's only have half of the write speed of the 256G's(i.e retina Macbook Pro's PCIe SSD benchmark, Sandisk Extreme CZ80 USB Drive). The description was not 100% accurate, but it gives the basic idea of why small SSD are slower. Not the answer you're looking for? Browse other questions tagged hard-drive ssd performance or ask your own question. One large or two smaller SSDs? How to discover true identity of hard disk used in counterfeit external hard disk? Why are SSDs so fast compared to raw NAND? Can a 'system image' be restored to a drive with a different storage capacity? Can two SSDs run slower than one? Why are USB flash drives slower than SATA SSD's? WIll partitioning an SSD make it slower?